A quick and early litmus test of Trump’s “pragmatism”: Will he move the U.S. embassy from Tel Aviv to Jerusalem? He promised to do it immediately, but that could unleash anti-American Muslim violence worldwide. Congress voted overwhelmingly for it in 1995 but presidents, fearing repercussions, never implemented it. Trump may back down on moving the embassy, which would officially recognize Jerusalem as Israel’s capital. 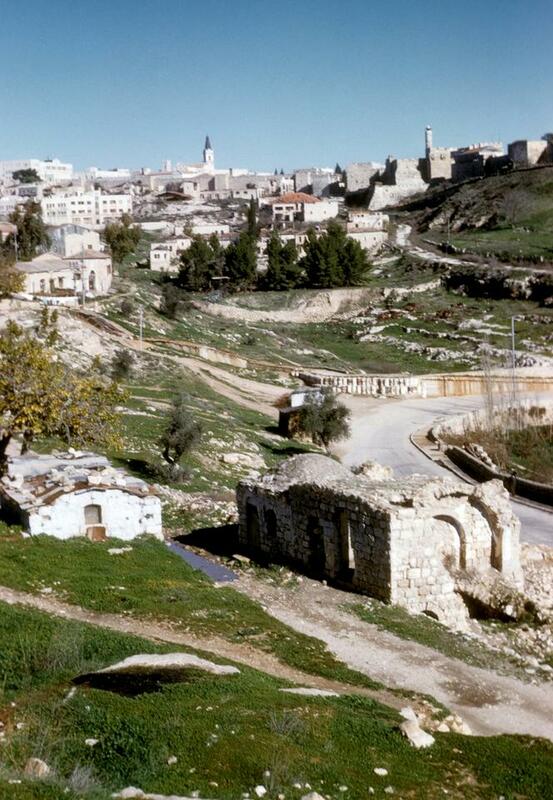 The spring of 1961, I got my passport renewed at the U.S. Consulate General on the Israeli side of then-divided Jerusalem. It came back stamped renewed in “Jerusalem, Palestine.” Why did Washington then and now refuse to designate it “Israel”? The U.S. Supreme Court ruled in 2015 that the president, as chief diplomat, alone has the power to recognize foreign capitals. The 1947 UN Partition Plan designated Jerusalem a UN-supervised neutral district of “Palestine,” even though it was soon divided in bitter 1948-49 fighting between the fledgling Israel Defense Forces and Jordan’s British-officered Arab Legion. Jordan held the entire Old City, with its walls and religious sites; the Israelis held the larger, modern area of West Jerusalem. People who ventured into the no man’s land between them could get shot by a Jordanian sniper. Thus things stood until the 1967 Six Day War, when Israel conquered the entire West Bank and annexed all of Jerusalem. All countries—in deference to the UN plan, in hopes of an eventual peace settlement, and, more to the point, worried about their embassies and businesses in Muslim lands—have their embassies in Tel Aviv with consulates general (big, important consulates) in Jerusalem. A few countries did move their embassies to Jerusalem but have since withdrawn them back to Tel Aviv. It’s not a big day trip for diplomats to conduct business in Jerusalem and return to Tel Aviv. AmConGen Jerusalem, like the one in Hong Kong, now functions as an embassy in all but name and reports directly back to State in Washington, not to the embassy in Tel Aviv. So we’re talking about pure symbolism here. In 1995, both houses of the U.S. Congress overwhelmingly passed the Jerusalem Embassy Act, requiring the State Department to move our embassy there by 1999 and recognize Jerusalem as Israel’s capital. President Clinton never signed it, and no president since has moved to implement it, knowing what trouble it could stir up. Constitutionally, all presidents have claimed that the Act infringes on their powers as diplomat-in-chief, and the Supreme Court agreed. In some sense, this is a clash between elites and interest groups. The elites—State, DoD, and Agency officials—see the danger of making Muslim countries hate us even worse. Establishing a U.S. embassy in Jerusalem would precipitate unrest, even violence, in the Muslim world at a time we are trying to calm it down. The interest groups—the Israel lobby and its Christian allies—very much want the Act implemented, as it would further cement U.S.-Israel ties. Few Americans care or even heard about the issue, so Congress votes to please the committed minority who can do members some good at election time. I doubt if Congress gives the likely overseas repercussions much thought. Congress could withhold funds for the State Department, but in a time of terrorism, when embassies badly need enhanced physical security, Congress can’t do that. The 1995 Act was a pretend law, a meaningless congressional gesture, and a diplomatic annoyance, but now Trump can use it without delay. Will he? The SCOTUS case was Zivotofsky v. Kerry (2014). Menachem Zivotofsky was born in Jerusalem in 2002 to American parents, who were displeased that the U.S. consulate listed in his passport his birthplace as “Jerusalem” rather than “Israel.” They—and the state of Israel—wish to reaffirm that Jerusalem is the capital of Israel, not a separate entity under a defunct UN plan. Originally filed as Zivotofsky v. Clinton (after Hillary, then secretary of state), lower courts went back and forth over whether this is a political issue, one not to be decided by the courts. In April 2014, the Supreme Court granted it certiorari because it has constitutional ramifications, and heard oral arguments November 3. The crux of the case was not the status of Jerusalem but who’s in charge of foreign relations, the president or Congress. In Zivotofsky, as a lower court put it, a ruling would “necessarily require the court to decide the political status of Jerusalem.” Washington would thus have to abandon Jerusalem’s ambiguous (but useful) status, a decision that could easily push Israel/Palestine into its third intifada, which some say is already underway. The Supreme Court upheld precedent and affirmed the important U.S. v. Curtiss-Wright Export Corporation (1936). In the 1932-35 Chaco War, Latin America’s bloodiest twentieth-century conflict, Bolivia invaded Paraguay, aiming for oilfields and a river outlet to the Atlantic. Curtiss-Wright sold Bolivia a few warplanes even after Congress, by joint resolution, authorized the president to block it, and the corporation was charged with defying a U.S. arms embargo. In 1936, the Supreme Court held that in foreign relations, unlike domestic law, the president has implicit plenary power essentially unfettered by Congress. Curtiss-Wright has been cited ever since as giving the president supremacy in foreign affairs but differs from Zivotofsky. In the earlier case, Congress had endorsed presidential power, the opposite of the recent case in which Congress claimed that it has the deciding power. Will Trump, who will have a Republican Congress behind him, risk moving the embassy? Does the non-reading Trump even know it’s a risk? We should see by the end of January. If Trump doesn’t move the embassy by then, he has likely listened to the career professionals and will stall indefinitely to preserve the status quo. Oh, what happened in the Chaco? Paraguay, although outnumbered and outgunned, won. Bolivia’s German military officers learned too late that their Altiplano conscripts, brought down from above 12,000 feet to nearly sea level, soon sickened and died. Don’t go where you shouldn’t be. Michael G. Roskin has been a Professor of Political Science at Lycoming College since 1972 and has authored five political science textbooks. Professor Roskin earlier worked as a newsman and foreign service officer for the U.S. Information Agency before earning a Ph.D. in international studies at American University.